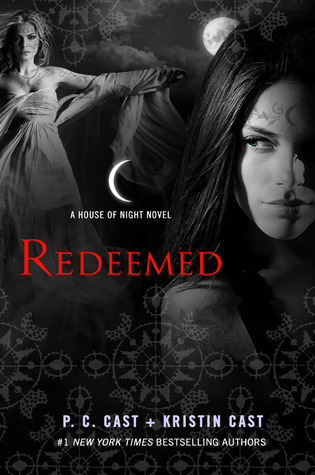 Finally I’m finished with the House of Night series! So the series as a whole I was enjoying until this last book. Also, this is one of those series that’s problematic and I kind of hate myself for enjoying. I’ve written more on this in a review of one of the books on my Goodreads, so I’m not going to go too much into it here. In brief, throughout this series there are many recurring moments where the authors are ignorant, insensitive, and kind of just rude. The r-word is used repeatedly, there are unaddressed instances of what basically amounts to (sexual) assault, not to mention the numerous offensive and stereotypical jokes/comments about LGBT people. I would have hoped that as more and more books came out, the author(s) would have grown and realized their mistakes, but alas the last book, which was published in 2014, was no different from the rest. Here’s one specific moment. When referring to two girls who are (about to be) in a relationship, someone says, “I knew Nicole would be the guy” because she put her arm around the other girl and was acting ‘possessive’. I mean. I’m not going to write a whole paragraph on why what’s wrong, so please just go do some research. Now onto other reasons why this book received such a low rating from me. The writing in this series has never been super great, but I’ve always enjoyed it. This book, however, seemed so much worse than the rest. Neferet’s chapters, and the chapters she was in, were so bad they were laughable. The writing was over-explanatory, and Neferet as a villain was just not believable. All this work (11 books worth) of building Neferet up to be some huge baddie and in the final book I couldn’t take her seriously. Why did I have to read chapters and chapters of her worrying about her temple and what her “supplicants” (more on that later) were named and what they were wearing. It. Was. So. Bad. Another part of the writing that bothered me, but not as much as the whole Neferet thing, were the chapters on Detective Marx. He’s supposed to be an adult, and he just came off as very childish and not very mature to me. Another technicality that bothered me was that I swear no one even took a statement from Zoey when she got arrested. They just threw her into the cell and then when Neferet confessed to the murders, Zoey finally explained everything that happened in detail. Then bam, she’s out of jail. It just seemed very unrealistic. Back to the writing in Neferet’s chapters. The word “supplicant” was so incredibly overused. In one chapter I counted. It was used on every. Single. Page. In combination with the terrible writing in Neferet’s chapters, I just kept getting pulled out of the story. By the second half of the book, things got a little better. The S-word, as I shall refer to it from now on, wasn’t used as much. All in all I’m glad that I finally finished this series. Except did I really, now that there’s the whole House of Night Otherworld novels? Who knows if I’ll ever read those. I would be interested to read them to see if they are still as problematic as the original series, and if the writer(s) have grown any. I kind of doubt it. I have asked P.C. Cast a few questions on Goodreads about some things I have problems with in her books, just to get her take on it. I genuinely wanted to know if she had some explanation, or I just wanted to have a conversation like an adult. The responses I got were lacking, and I don’t think she’s a very receptive person to questions that challenge her writing. Of course I’ll give her the benefit of the doubt, because communicating via written word is always challenging, and posing a question in less than 140 characters is even harder. So overall I’m giving this book 2.5 stars. I was happy with the ending and most parts of it, but some of it I just couldn’t get over. P.S. This is one of the first ‘bad’ reviews I’ve written. I’m obviously nervous to post it because the internet is a scary place, but my hope is that the book community will be mature enough to handle it and, if there’s any discussion, it can also be mature and respectful. Not that anyone will be discussing this, but still. It’s always relevant. I’m actually planning a post about the bookish community in general, so stay tuned.